Hollywood would be wise to crank up the rom-com machine again. We still crave romances no matter how silly they sound. There’s a reason we have a love/hate reaction to romantic movies. Off screen, many relationships simply run their course, says digital matchmaker and CEO of Cyber-Dating Expert Julie Spira. That rarely happens at the movies. Consider the final moments of “Say Anything,” “When Harry Met Sally” and “Dirty Dancing” as exhibits A, B and C.
If only real life worked out that way more often. It’s why we’ll watch Billy Crystal scrambling to reunite with Meg Ryan – again – to celebrate Valentine’s Day. There’s still nothing wrong with a dollop of escapism, especially on the most romantic day of the year. Spira, the author of “The Perils of Cyber-Dating,” describes herself as a “hopeless romantic” who enjoys most love stories. It’s a shame, then, that Hollywood hasn’t been cranking out as many these days. The rom-com genre is still looking for its next Tom Hanks/Meg Ryan pairing. It’s not like the genre needs much tinkering, she says. The romantic movie follows a “cookie-cutter formula, just like there is for reality television. These formats work,” she says. In recent years filmmakers have deviated from that blueprint, particularly in rom-coms like 2011’s “Friends with Benefits” and “No Strings Attached.” The result? Neither became a modern classic in the “Harry/Sally” mold. The 2015 hit “Trainwreck,” however, toyed with conventions in an exciting way, Spira says. “We always see the guys as a dog and the girls wanting a serious relationship,” she says. Amy Schumer’s character in the film is the one trying to keep all her options open. Spira says a recent screen romance that deserves more attention is last year’s “Begin Again.” The movie offers sumptuous music, crackling chemistry and more than one potential love connection. “To me, it’s completely filled with romance, love, loss and the possibilities of reconciliation,” she says. One area where Hollywood gets an incomplete score, according to Spira, is in how it portrays online dating. She should know. She first penned “The Perils of Cyber-Dating” in 2009 and has been tracking the cyber-dating scene since the “dial-up days,” she says. Screenwriters have yet to fully grasp its complexities. 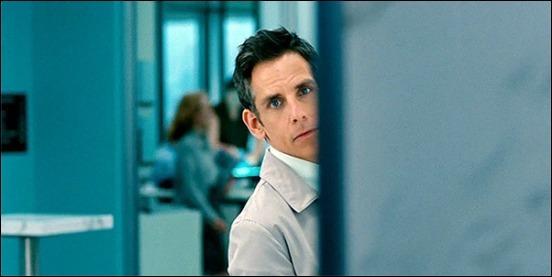 One exception was 2013’s “The Secret Life of Walter Mitty,” which featured a significant subplot (and product placement) with eHarmony.com. Spira understands singletons frustrated by those Happily Ever After endings, but she says there’s always hope. Consider her own love story. An old flame inspired her to write the original “Cyber-Dating.” He ended up reading the book – 16 years after they had split – and they soon reconnected. They’ve been back in love ever since. Her fairy-tale ending is featured in the revised audio book edition of “Cyber-Dating.” The new version also features fresh tips for those in the dating trenches. Couples and singletons alike will watch their favorite screen romances this weekend. They can’t go wrong with “When Harry Met Sally,” one of Spira’s favorites.